Last Mountain Regional Park is situated at the north end of Last Mountain Lake, inside the oldest bird sanctuary in North America and home to thousands of birds. 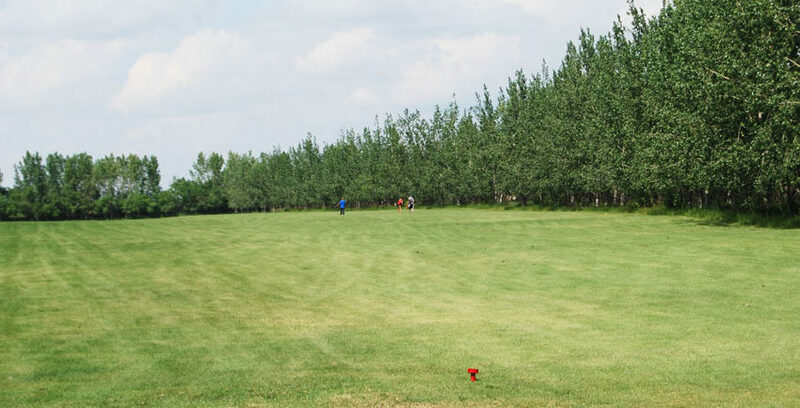 The park is a family friendly destination that includes an outdoor pool, aquatic program, nine hole sand green golf course, shower house, laundry and a new concession! 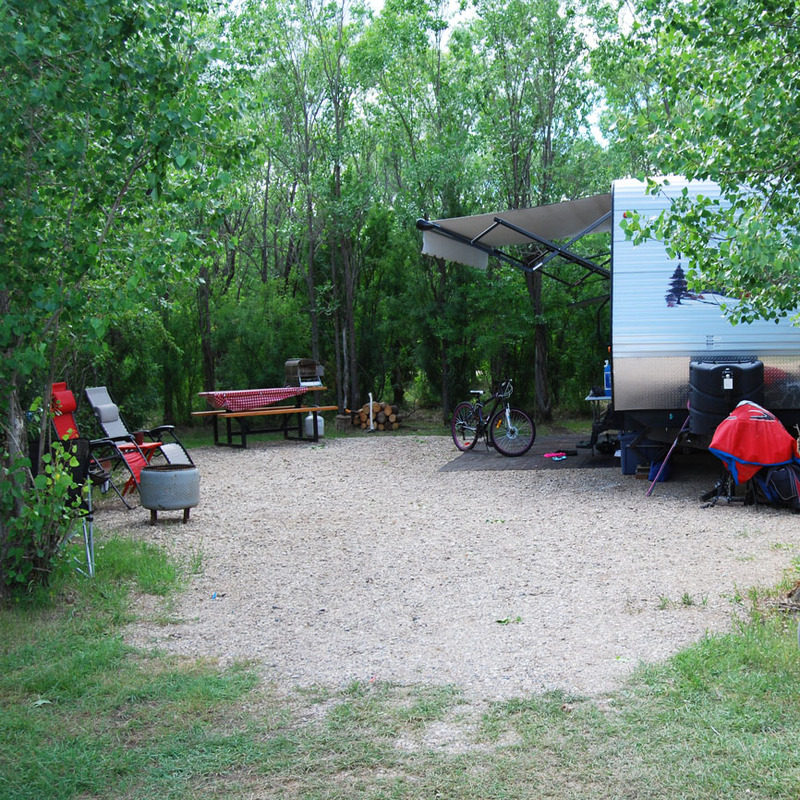 The park offers seasonal and daily camping and also has privately owned cabins. 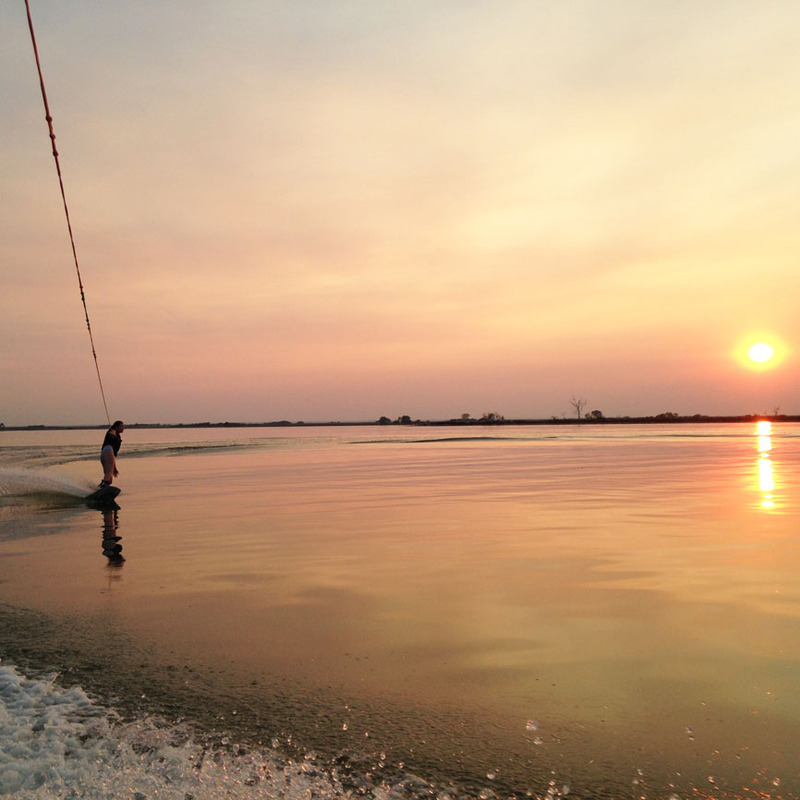 The lake is a great place for fishing and water sports. The town of Govan offers a grocery store/liquor vendor and a bank (ATM). At the Town of Nokomis you will find a grocery store, bank (ATM), pharmacy/liquor vendor, gas station, hardware store, hotel and 3 restaurants. 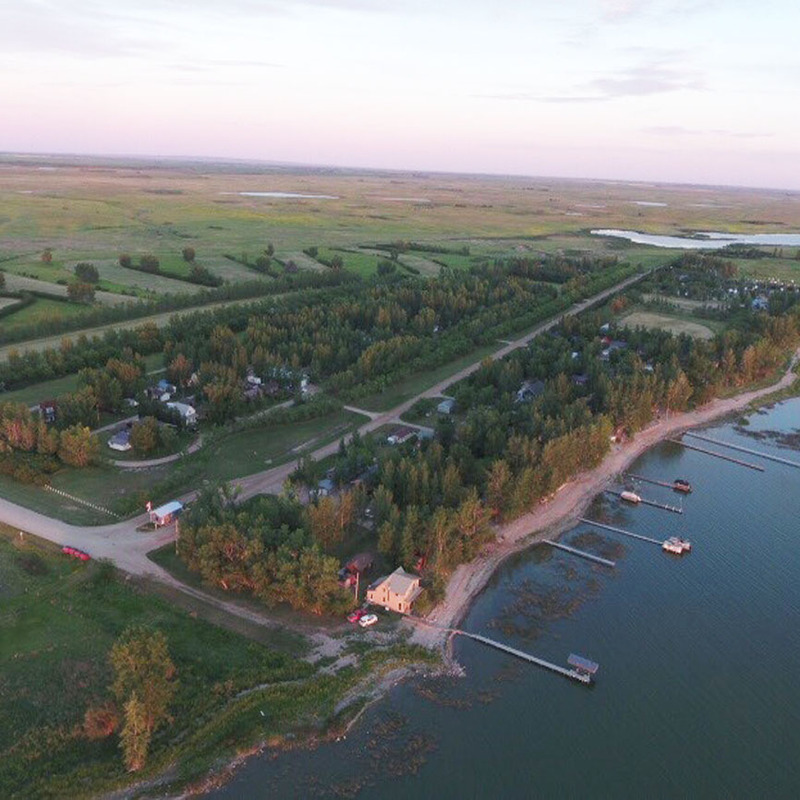 The Town of Nokomis and Semans both have museums. 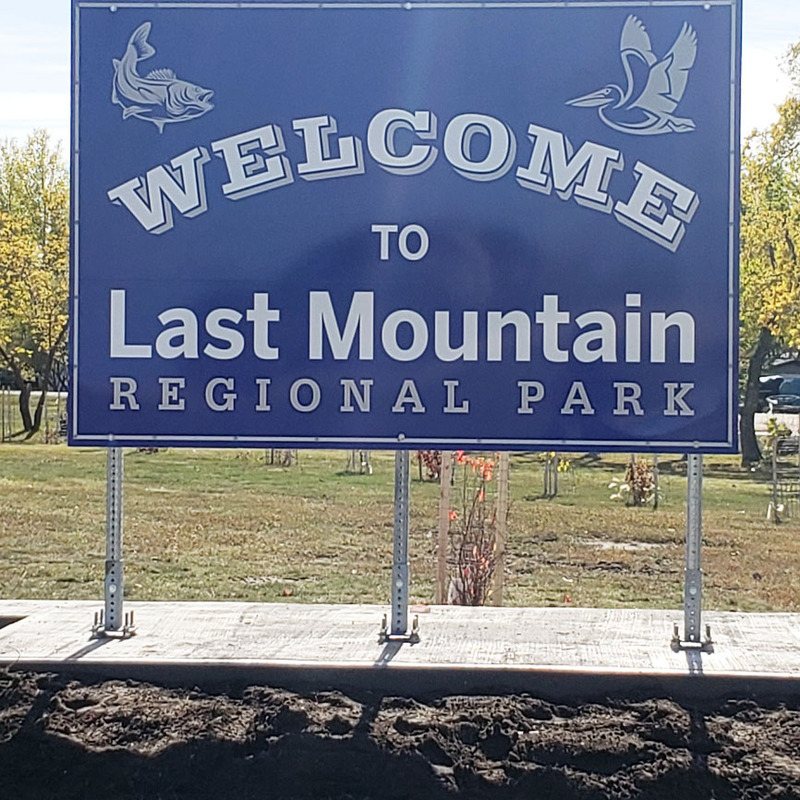 According to the oral history of the Plains Cree, the hills to the east of Duval were the last things the Great Spirit built during creation; the name Last Mountain Lake commemorates that tradition. 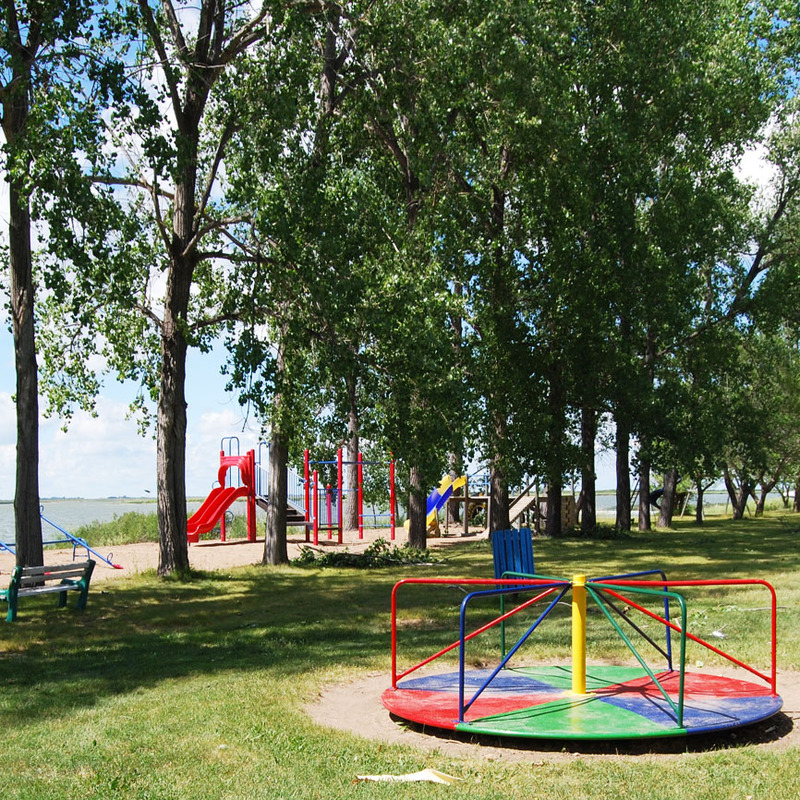 One of the oldest parks in the system, it was established in 1963 after three years of talks between the Govan Nokomis Fish and Game League and the province. There are now four local governments that provide funding. In 2013, we celebrated our 50th Anniversary as a park. Persons camping in the park must be 19 years of age or older, unless accompanied by a parent or guardian. Dogs must be leashed at all times and owners must pick up their dogs waste. No dogs are allowed on beach, playground and pool areas. The park charges a fee to use the boat launch. Golf carts must be registered with the park. Golf cart drivers must hold a valid drivers licence. Quiet time is from 11:00 p.m. to 6:00 a.m. LMRP water is non-potable. Potable water is available at the concession. Alcohol Ban in effect for May Long Weekend. 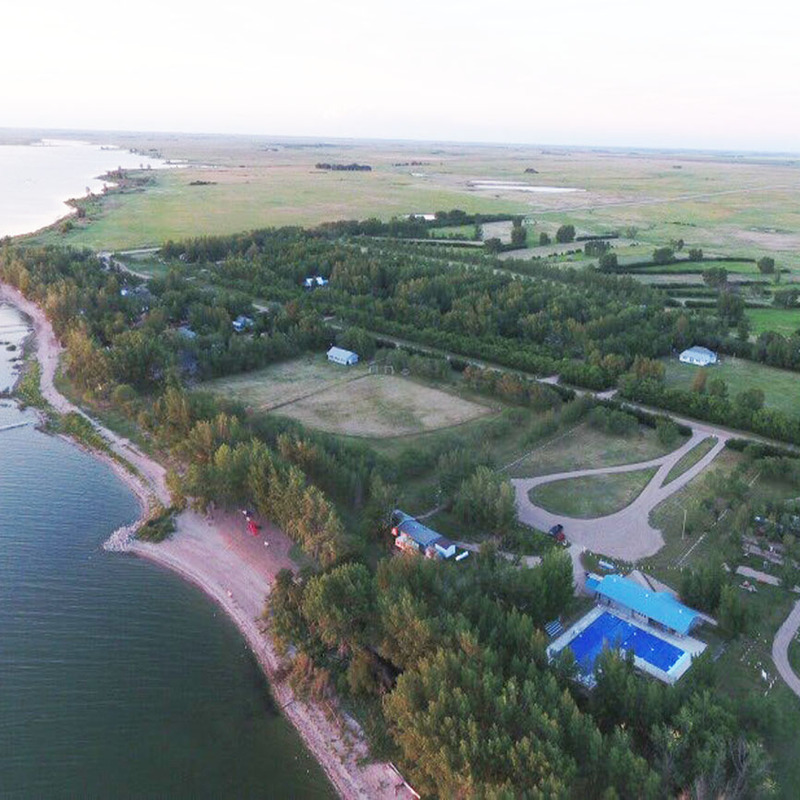 Half price camping from May 11 – June 22 (excluding May Long Weekend) and August 19 to the end of the season. 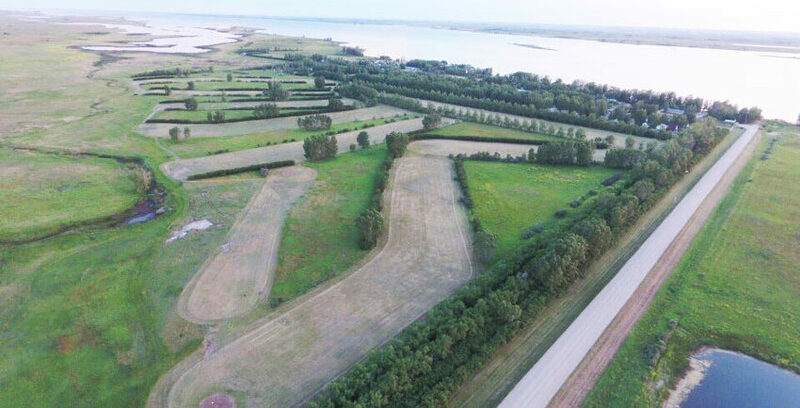 The campground includes 4 – 50 amp sites, 103 – 30 amp sites and 4 non-serviced/tenting sites (30 of the 30 amp sites are designated seasonal sites). All sites have picnic tables and barbeque pits. All are located within easy distance of the shower house, laundry facility, concession, playground and beach. 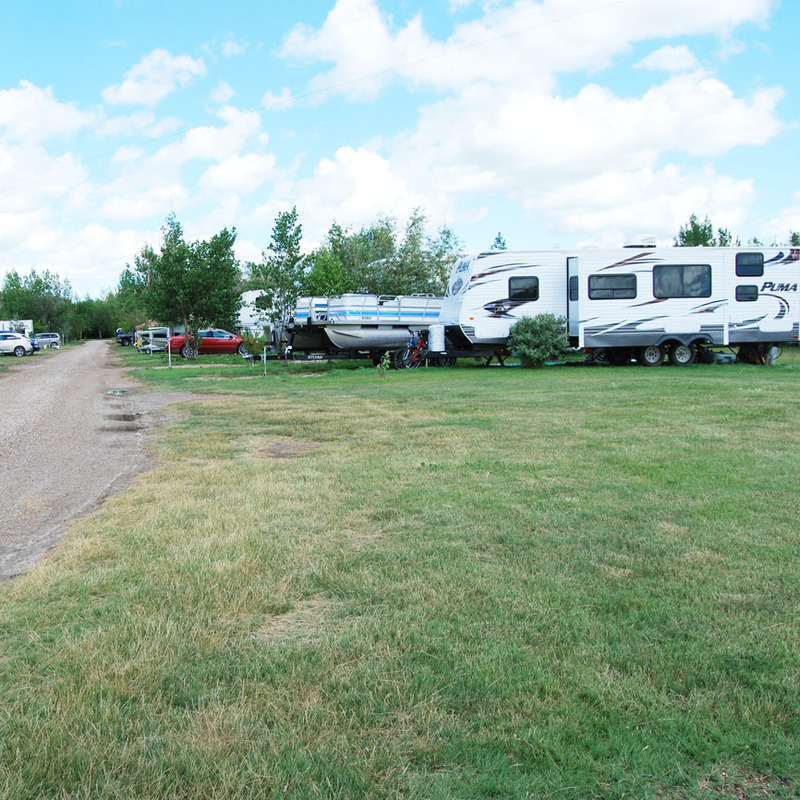 Portable toilets and water taps are situated throughout the campground. Firewood is available for purchase at the gate office. The park also has a picnic hall for rent that can be used for reunions, weddings or other events. There is a full kitchen and indoor seating area. 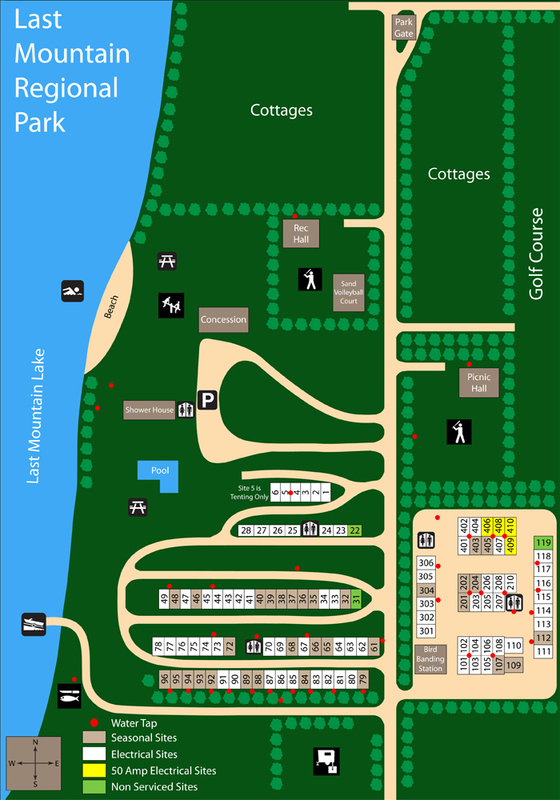 Both serviced and non-serviced camping is available at picnic hall area, for an extra cost. 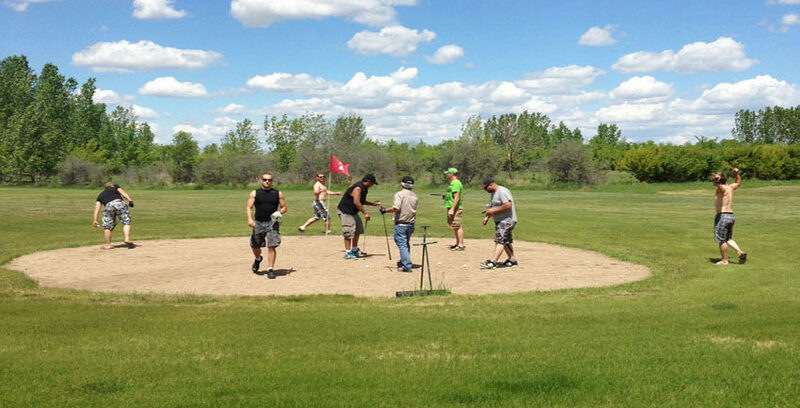 The beautifully groomed nine hole sand green course is an excellent course for any golfer. Golf carts are allowed. 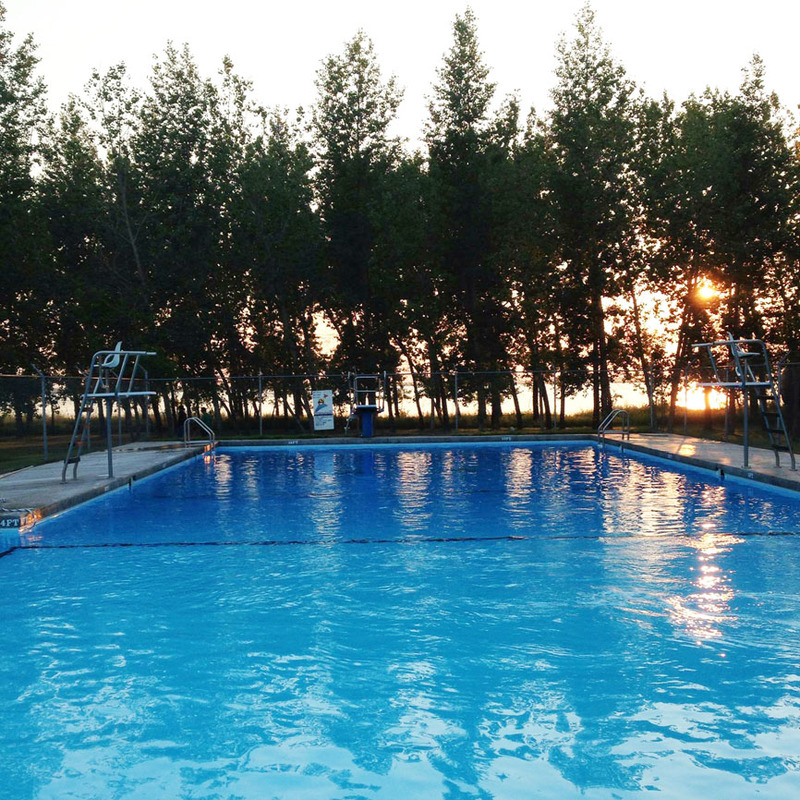 The park has a great heated outdoor pool with a diving board, change rooms and showers. 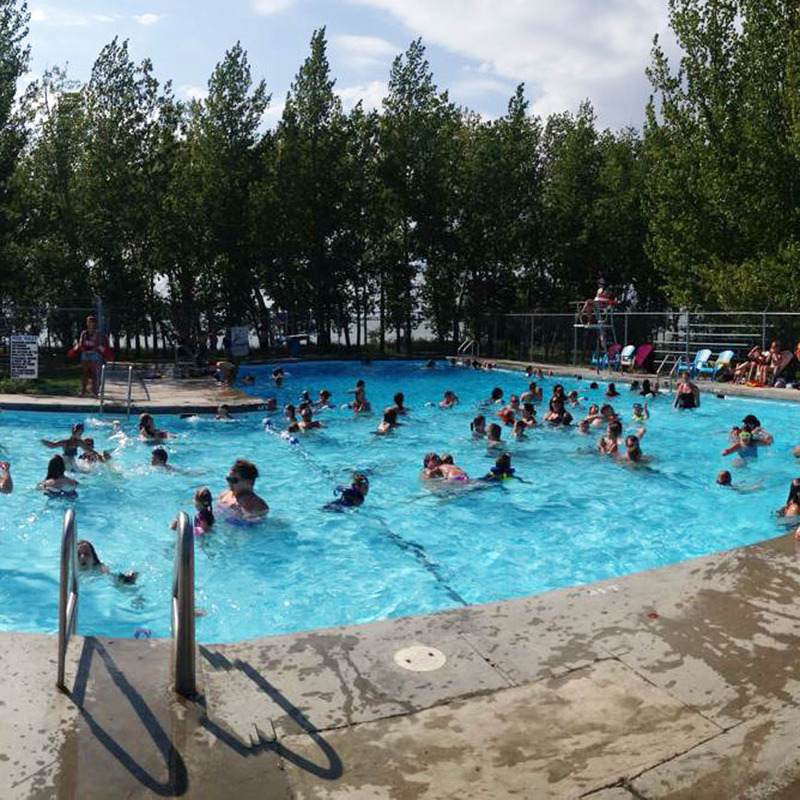 The pool is open mid-June to mid-August (weather permitting). Five sets of lessons are offered throughout the summer. 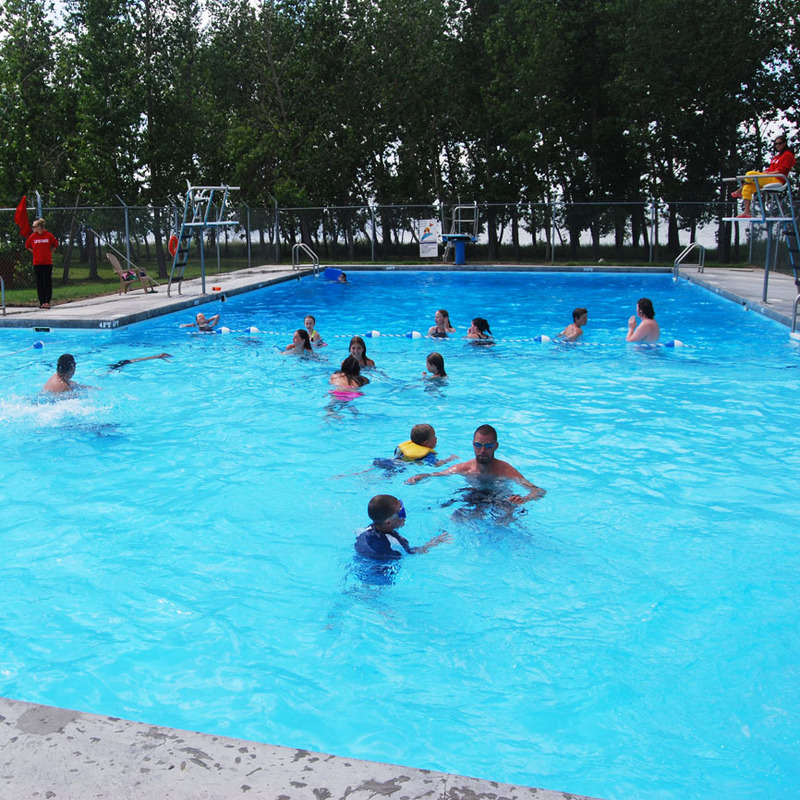 Public swimming is held daily, times vary through the season. Lane swim is offered Monday – Friday. There is also a beach if you prefer to swim in the lake, no lifeguard on duty at the beach. There is a recreation program offered throughout the summer, with many activities for children. 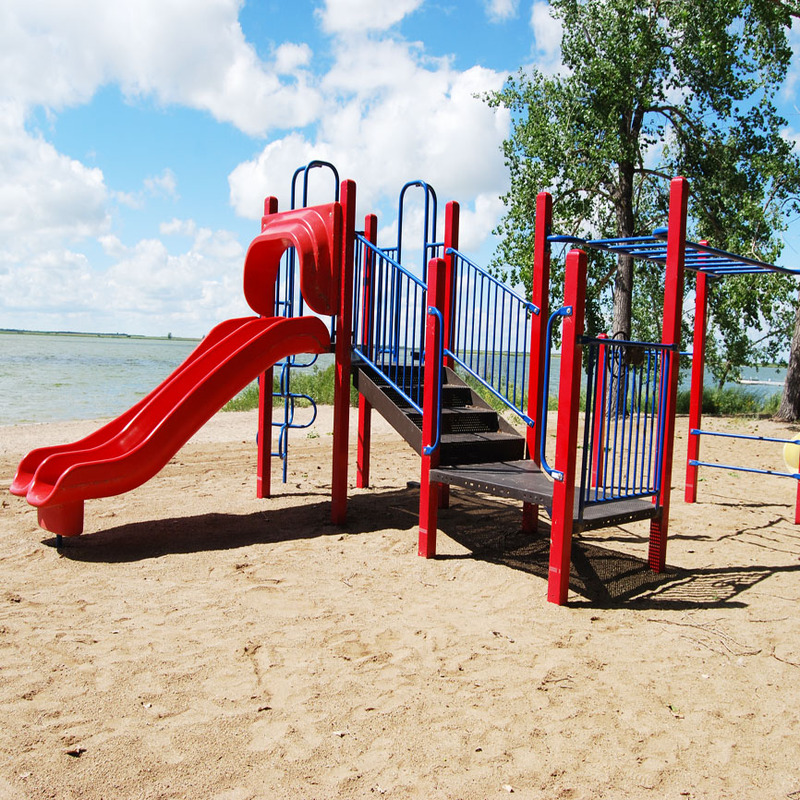 The park has play areas situated at the beach as well as throughout the cabin area. 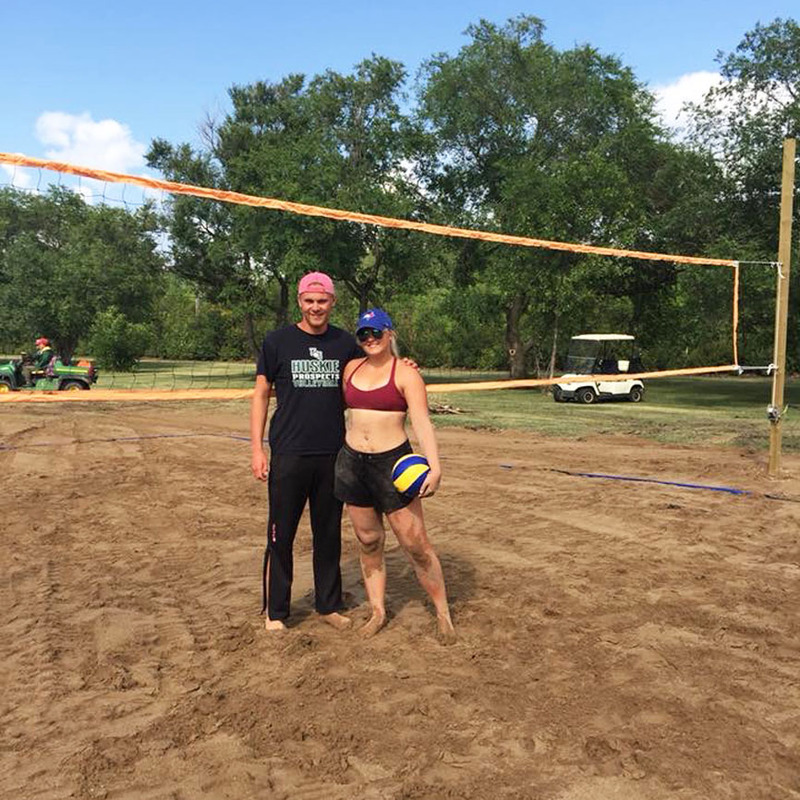 There are two ball diamonds, a sand volleyball court as well as lots of green space! The park is equipped with a boat launch, large parking area and fish filleting shack. 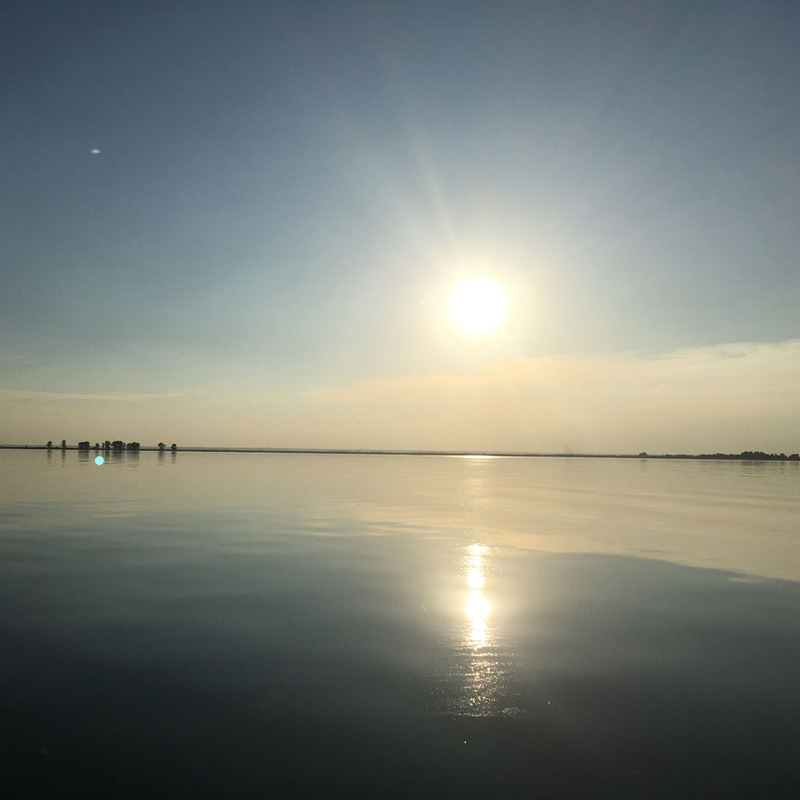 There are pike, perch, walleye, whitefish and carp in the lake. 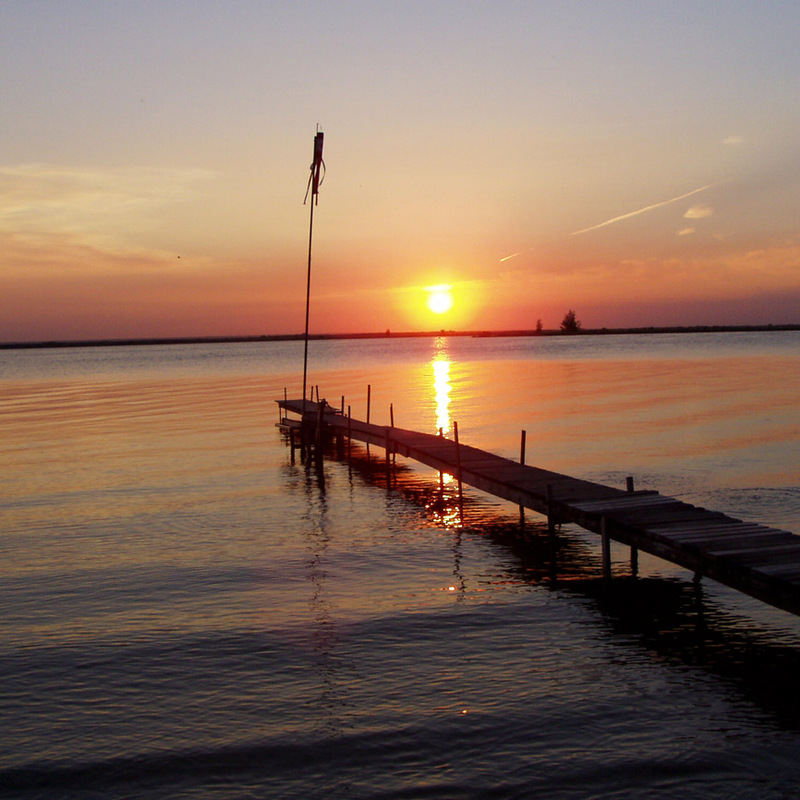 The lake is excellent for fishing and is known for Catching the BIG ONE! It is a great area for water sports. Watercraft such as jet skis are permitted in the park and must operate north of the cabins or south of the boat launch only. Fishing off the shore is allowed south of the boat launch. 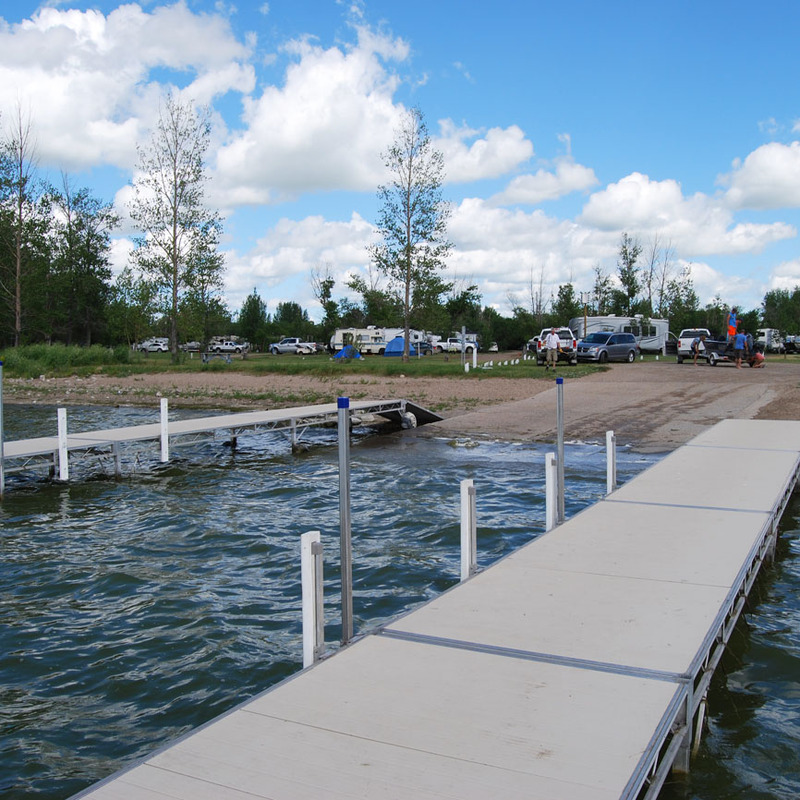 There is a seasonal or daily fee for use of the boat launch. 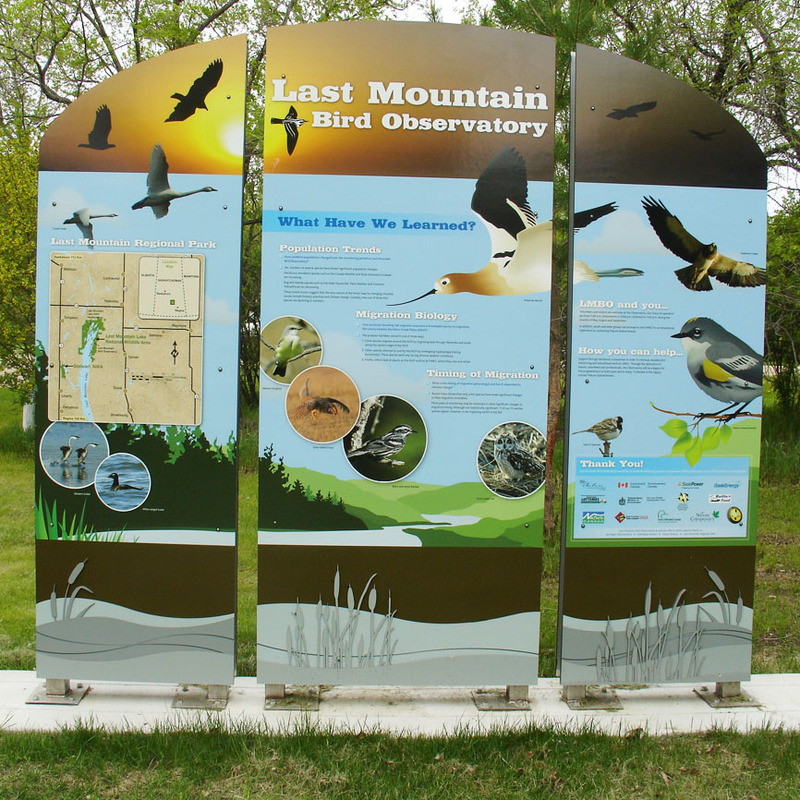 The park is home to the only migratory bird banding station in Saskatchewan. The station is open in May, as well as August and September. The park is excellent for bird watching. 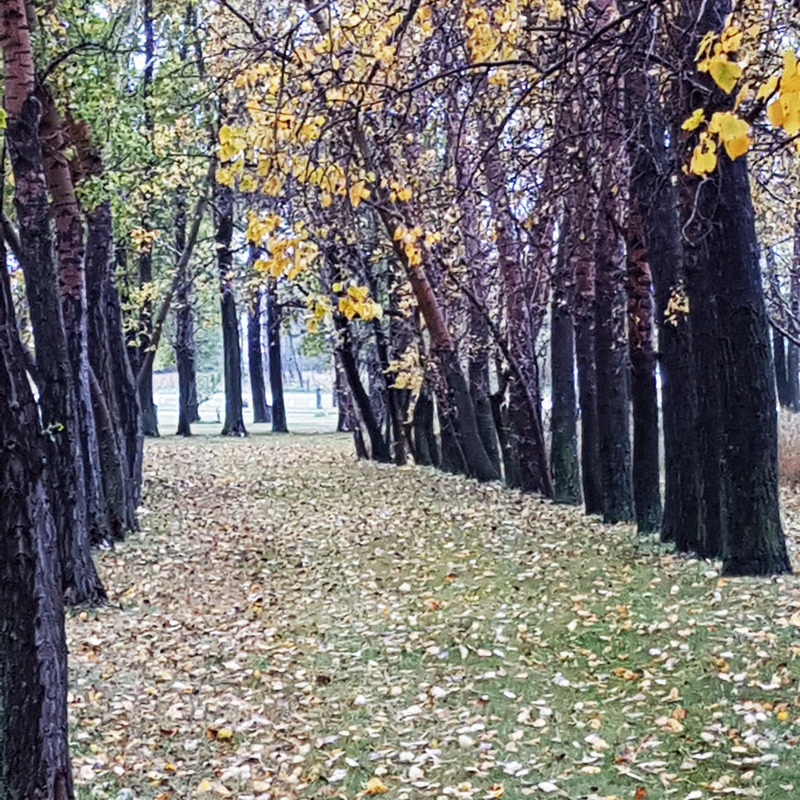 The park is also next door to the Canadian Wildlife headquarters which offers a self guided driving or walking tour of the north end of the lake. Campers who are also booking swimming lessons may book starting March 1. For all other campers, reservations will begin April 1 through on-line booking only located below. 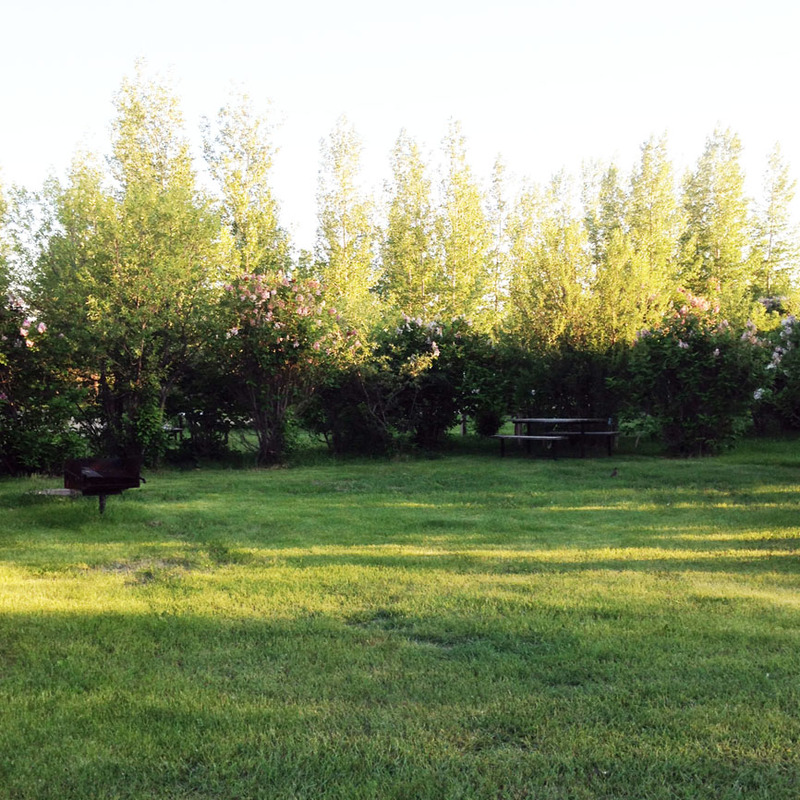 Half price camping is available from May 11 - June 22 (excluding May Long Weekend) and August 19 to the end of the season. Cancellations are subject to a fee equal to one night camping plus the $10 reservation fee. No refunds will be allowed for campers leaving early in July and August. Any camper leaving early in May, June and September will be charged a fee equal to one night camping.